My research interests are in tourism mobilities, events and society, cultural tourism and the creative industries. 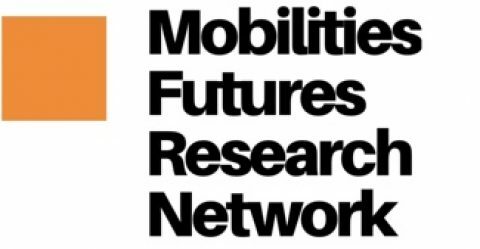 I am also the founder of the MFRN (Mobilities Futures Research Network) who as inter-disciplinary researcher that crosses the borders of cultural geographies, embodiment theory, transport ontologies and transhumanist theories, it is hoped that this forum will be a platform to aid other researchers to share thoughts, ideas and imaginaries about the mobile world. From the Cosmobilities Network that connects European scientists working in the field of mobility research, works at the Department of People and Technology Space, Place, Mobility and Urban Studies, Designing Human Technologies, Roskilde University. The focus for my research is on understanding modern everyday life and the transport and mobilities that frame and enable this life. How individuals experience, evaluate or describe their mobilities and what propels their actions is important to understand if we aim at more sustainable mobilities in the future. My background is interdiciplinary linking sociology, geography, urban planning and the sociology of technology which i for many years have used to investigate praxis’s of mobilities and its significance for (future) cities. The outset is understanding the interrelation between spatial and digital mobilities and its impacts on everyday life, societies and environments.I am the co-manager of the international Cosmobilities Network and founder and co-editor of the journal Applied Mobilities. Sven Kesselring from the Cosmobilities Network that connects European scientists working in the field of mobility research, holds a PhD and a doctoral degree in sociology. He is research professor in ‘Automotive Management: Sustainable Mobilities’ at Nuertingen-Geislingen University and research fellow at the Centre for Interdisciplinary Research (ZiF) at Bielefeld University. He is the co-director of the PhD program ‘Sustainable Mobility in Metropolitan Regions’, jointly organized by Technical University Munich and Nuertingen-Geislingen University and the editor of the journal ‘Applied Mobilities’ (Taylor & Francis) and the book series Networked Urban Mobilities (Routledge). Freudendal-Pedersen, M., & Kesselring, S. (Eds.). (2018). Exploring networked urban mobilities: Theories, concepts, ideas (1st). Networked urban mobilities series: volume 1. New York, NY: Routledge. Jensen, O. B., Kesselring, S., & Sheller, M. (Eds.). (2018). Mobilities and Complexities: Routledge. Kesselring, S., & Tschoerner, C. (2016). The Deliberative Practice of Vision Mobility 2050: Vision-making for Sustainable Mobility in the Region of Munich? Transportation Research Procedia, 19, 380–391. Kesselring, S. (2015). Planning in Motion. The New Politics of Mobility in Munich. In: Pucci, Paola; Colleoni, Matteo. Understanding Mobilities for Designing Contemporary Cities. Springer International, pp. 67-85. * Links between security, militarisation and urban life. Ph.D. (Science and Technology Policy), Programme for Policy Research in Engineering, Science and Technology (PREST), University of Manchester. 1986 B.Sc.(Hons.) (Geography), University of Southampton (First Class). I see myself as an eclectic theorist informed predominantly by poststructural theories deriving from geography, sociology, phenomenology and more recent work within ‘the mobilities turn’. My primary analytic focus lays on issues of embodiment, the politics of affect and the influential role of designed materialities in shaping lived experiences, societies and environments all together. Jen Southern is an artist, lecturer in Fine Art and New Media, and Director of the Mobilities Lab at the Centre for Mobilities Research at Lancaster University. Her work is a hybrid of art practice, mobilities research and speculative software design, and has been exhibited internationally for over 25 years. With an ethos of shared authorship she collaborates with artists, technologists and members of the public to produce live installations that combine material and digital experience. Her current practice develops a mobilities framing of Baradian agential realism involving the co-production of relational landscapes. Unstable Landscapes (Slovenia, 2017) shared the mobile activity of filming with local people, animals, wind currents and footpaths. For over 25 years Southern has been working with mobilities within art practice, from walking on boardwalks (1991), and in parks (Joyriding in the Land that Time Forgot (1997-2000, UK, Switzerland, Canada, New Zealand), installations in shipping containers Podunk (UK, 1998), explorations in video game clothing (Roam, 2001 – 2003) and learning to fly a light aircraft (Hold 2002-4) and Flight Plan (2003). In 2001, Southern, Jen Hamilton and Chris St Amand, established Satellite Bureau to investigate mobile encounters with sense of place through participatory GPS walking. This culminated in the exhibition Running Stitch (2006-2009, England, Scotland, Japan, Sweden, USA). In 2016 her work with art and mobilities was the subject of a solo exhibition ‘Skylines: A survey of work 2001-2016’. Recent work has been commissioned by In Certain Places (2016), Abandon Normal Devices (2015), National Football Museum (2015) and Mobile Media Studio (Montreal, 2013). I am interested in how people and places are represented primarily through cultural and heritage tourism, the link between heritage and national identities, postcolonial and decolonial epistemologies in research and teaching, visual methods, sexuality and in critical and innovative approaches to tourism research. More recently I have been engaged in gender research generally and specifically within the context of tourism with a particular focus on the intersections between gender and race. I joined the University of Sunderland in 2013 and I’m currently the Head of the newly established Faculty of Business, Law and Tourism Research Institute. Prior to joining Sunderland, I was employed at the University of Surrey and at Edinburgh Napier University. I also spent five years in the Ministry responsible for tourism in Jamaica prior to coming to the UK in 2000. I hold Masters degrees in International Relations and Tourism Management and a PhD in Tourism from Brunel University. I am a Resource Editor for Annals of Tourism Research, I sit on the editorial board of Leisure Studies and I’m a Fellow of the Higher Education Academy. I am also a lay member of the Central University Research Ethics Committee of the University of Oxford. I am a passionate advocate for equality, justice and anti-discrimination not only in terms of research and pedagogical practices, but within the university community and the wider society. Economic restructuring, cultural development, ‘urban renaissance’, and sustainable regional development. Head of Dept (EIS) at Newcastle Business School, Northumbria University. Before joining Northumbria in July 2013, Tom was Head of the Lincoln Business School (LBS), leading on every aspect of the school’s operation and strategic development. He also held strategic responsibility for the Lincolnshire Leadership and Management Centre (LLMC), housed within LBS. Prior to joining the University of Lincoln Tom was Associate Dean for Research and Enterprise at Teesside University Business School. Tom holds a PhD in Human Geography from Durham University, and prior to his academic career he worked for British Airways for whom he set-up and developed several very profitable overseas tour operations in several different countries. He has also set up a successful property development business and managed a semi-professional football club. Mordue T. (2007) Tourism, Urban Governance and Public Space. Leisure Studies Vol. 26. No.4. pp.447-462. Mordue T. (2005) ‘Tourism, Performance and Social Exclusion in “Olde York” Annals of Tourism Research Vol. 32, No. 1, pp. 179-198. Mordue T. (2001) ‘Performing and Directing Resident/Tourist Cultures in Heartbeat Country’ Tourist Studies 1 No 3 pp. 233-252.